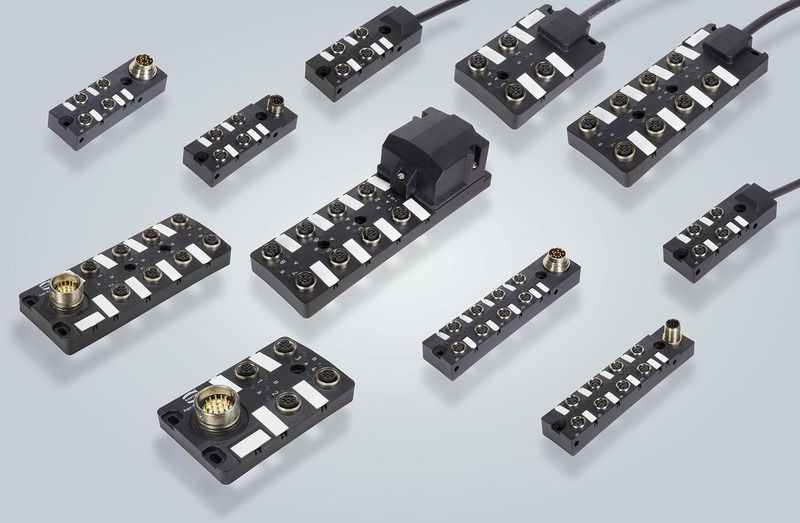 HARTING has introduced a new range of sensor actuator boxes which will save users time and money by enabling faster installation and reducing the number of cable lengths required between the sensors and the control cabinet. The sensor actuator boxes are the first in an extensive range of new compact passive I/O distributor boxes for multiple applications. Sensor actuator boxes of HARTING. Developed in response to steadily increasing expenditure on cabling due to the growing use of sensor technology in the field, the new sensor actuator boxes represent an ideal solution for many applications such as automation, robotics and process Systems. Sensors can be quickly and easily connected to passive distributor boxes using standard M8 and M12 slots. With a choice of four, eight or ten slots, the sensor cables no longer have to be drawn from the sensor into the control cabinet, but only to the local, application-led distributor box. The rest is taken care of by a master line to the control cabinet. The master line can be connected by an M23, M16 or M12 connector. Using plug-in connectors and combining the previous individual wiring reduces costs by saving installation time as well as minimising outage times for defective sensors, which can easily be replaced during servicing. IP protection rating 67/68 enables the sturdy sensor actuator boxes to withstand harsh operational environments and guarantees users reliable and secure signal Routing.